What is the distance of this race? When does race day registration begin? There is NO race day registration or packet pickup. You can register online; the deadline for online registration is Friday, September 8th at 9am. How much does it cost to participate in this event? Yes, Hermes Sports & Events has partnered with RunSignUp, who is a leader in online registration. It is safe and secure and they can guarantee that your information will be safe. There is a small processing fee when registering online. Is there a processing fee for registering online? If I’m registering with a family member, can I fill out one form? No, we require individual entry forms for each participant to make sure we have all the information we need for that participant. We will NOT accept two names on one form. What’s the age requirement to register for this race? Can I have my race packet mailed to me? Yes! Registrations made through midnight on Sunday, August 19th can opt for race materials to be mailed out in advance for a $10 fee. You must select this when you register in order to receive your bib and t-shirt through the mail. All registrations will receive confirmation via e-mail. I didn’t receive my confirmation e-mail, how can I make sure I’m registered? I can no longer participate in the race (injury, scheduling conflict, etc. ), what are the Hermes refund/transfer policies for the race? All entries are non-refundable. 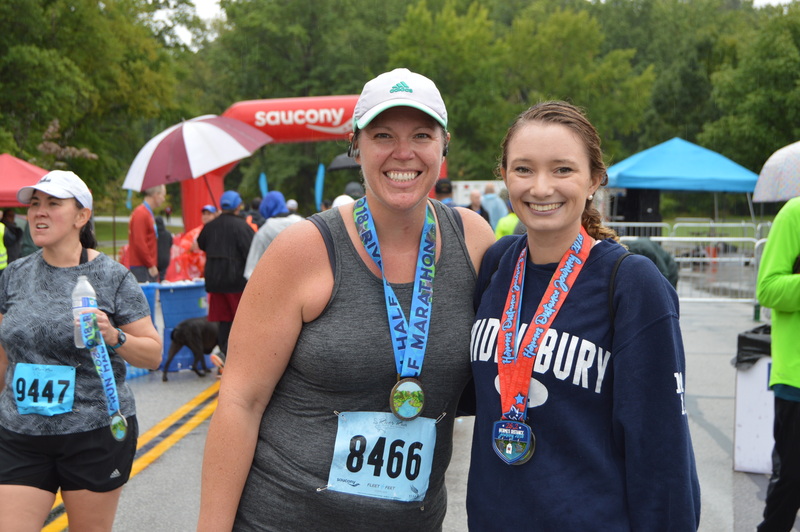 Once we’ve received and processed your entry, you will not receive a refund, you may not give or sell your race number to other people, and entry fees are not transferable to the next year’s race or any other race. You are able to transfer your entry to another person for a fee of $10. This can be done at any of the packet pick-ups prior to race day. There will be no transfers on race day. To complete a Transfer, go to your profile on Runsignup and chose either the refund transfer or gift transfer option. Enter in the Transferee’s name and email to send them the transferring registration. Once the transferee completes the registration, the original registrant is removed from the race. Gift Transfer: Transferee’s registration is free. The original registrant pays a $10 transfer fee. If I’m unable to attend and already registered, can I still get my shirt? Yes, you can pick up your shirt at our office the following week – we do not mail shirts unless otherwise stated. Please call the office ahead of time to let us know you are coming at 216-623-9933. I noticed this event is part of the Road Race Series, do I have to be registered for that to participate? No, this race is open to all interested participants. For more information regarding the Road Race Series, please visit the Road Race Series page on our website. On my registration, I misspelled my name, age, I’ve recently moved, etc. How can I fix this? If I’m pre-registered, do I need to bring identification to packet pick up? It is not required but it’s always a good idea to bring it. Am I required to pick up my race bib and shirt at packet pick up? YES you are required. There will be no race day packet pickup. Can someone else pick up my race bib and shirt? Yes, both can be picked up by/for family and friends. It’s always a good idea to bring your confirmation e-mail. At any of the packet pickup locations. This race is an officially timed event using the disposable B-tag timing system. Timing chips are attached directly to the back of your bib number and are to remain adhered for the duration of the event. Official results will be posted online at www.riverrunhalf.com by 5:00 p.m. on September 10th. After the results have been officially posted, please contact Haleigh Bartlett at hbartlett@hermescleveland.com with any questions or concerns. There will be Finisher Medal for all Half Marathon participants who complete the race. There is no formal awards ceremony. You can pick up your award at the awards tent. Limited parking is available at the Sweetwater Marina, approximately 1.4 miles from Memorial Fields. You may walk the course. We suggest registering for the walk at 7am to give yourself plenty of time to complete the race. How is the course? Does it have many hills? The course for the Half Marathon will be mostly downhill. The starting point at Wallace Lake is at 774 feet above sea level. For how long will the course be opened? 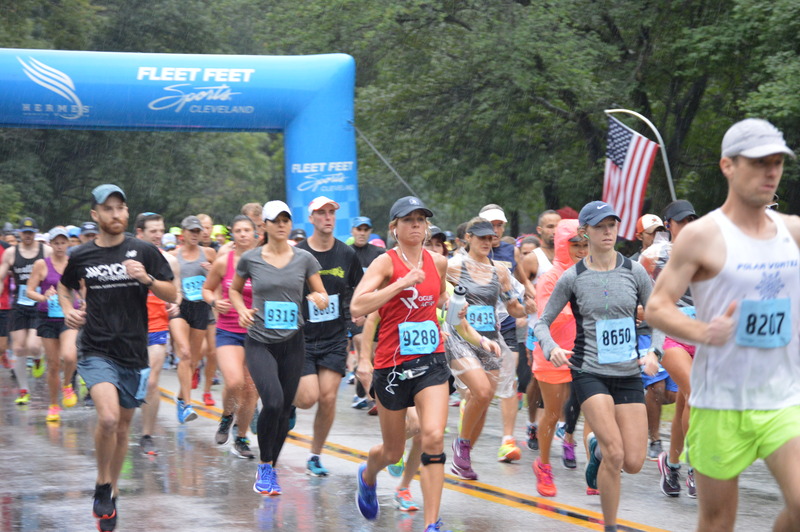 The River Run Half Marathon has a course time limit of 3 hours and the course will close at 11am. 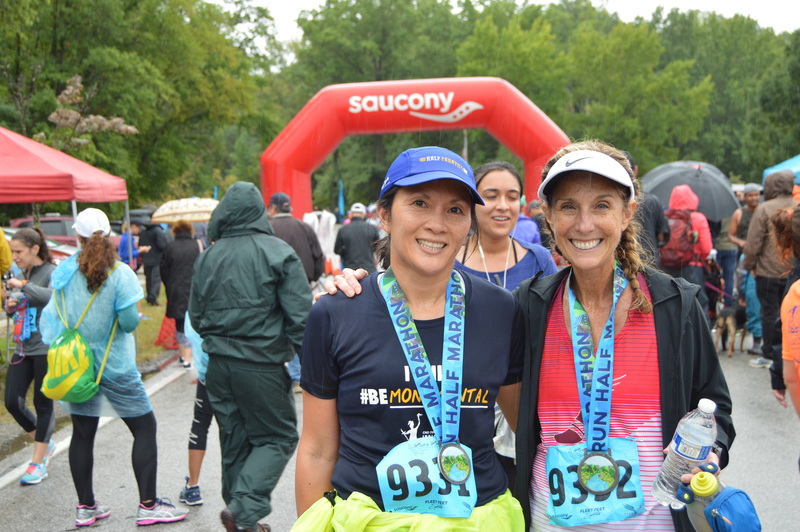 You must maintain a 13:45-minute per mile pace (approximately) or faster, completing the half marathon distance—start line to finish line—within the event time requirement. 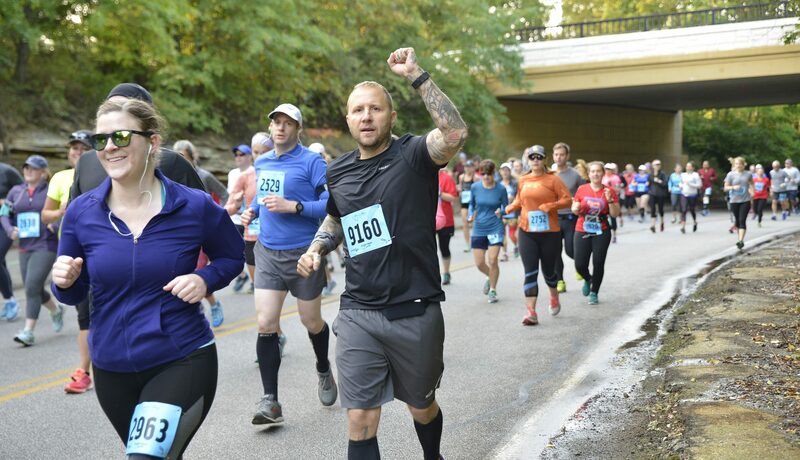 After this time, the course will re-open to vehicular traffic and you will be asked to move to the trail at the Metropark Rangers’ discretion. Those who finish outside of the time limit will not be recorded as official finishers and may not receive full on-course support from aid stations and traffic safety personnel. If you do not think you will finish by 11am, the option to start at 7am with the half marathon walkers is available. Where is/are the water stop(s)? There will be Fluid Stations at the 2.5 mile, 4 mile, 6 mile, 8 mile, 10 mile, and at the 12 mile markers. All fluid stations will have water. Gatorade will be at the following locations as well mile 6, mile 8, mile 10, mile 12. Energy gels will also be available at mile 6 and mile 8. Are there restrooms (portos) along the course? We will have several portos at the start and finish lines of the course. We will have portos available on the course at miles 4, 6 and 10. Where can spectators, friends, and family watch on the course? Can they be at the start or finish areas? E-mail roadracing@hermescleveland.com if you are interested in volunteering for the race. May I use a running stroller during the race? Running Strollers are not allowed on the course. Questions asked on social media may not be answered right away.